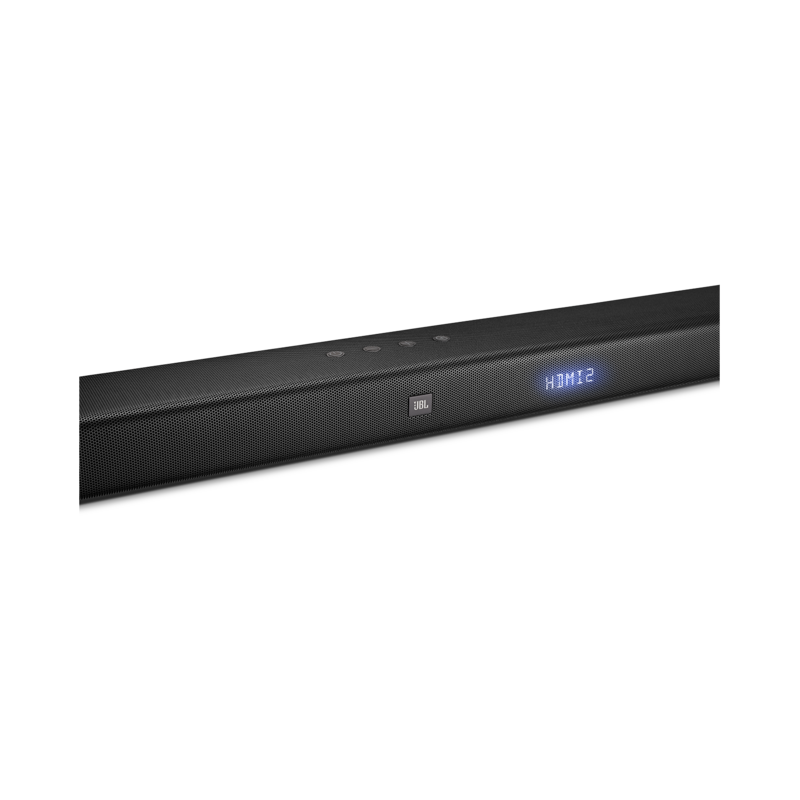 JBL Bar 5.1 is rated 4.5 out of 5 by 142. Rated 3 out of 5 by aaustintris from Great Sound When It Works This soundbar came with NO instructions other than a quick set up guide and the legal booklets. When it works, it sounds pretty good but it constantly mutes without any mute button being pressed, it goes off and on at seemingly random times and I've yet to be able to sync my phone to it. I'm sure these problems could all be fixed or at least understood if I had an instruction booklet but there isn't one and I don't find one online. We bought it because the satellite speakers have no power cords so we will most likely keep it. Without that feature, it would be going back. Really, for that amount of money Harmon can't post instructions on line? Rated 5 out of 5 by Hi Fi Rob from Excellent bass and immersive surround sound I bought this about 30 days ago and so far i am very happy with it's overall sound and features. Very easy to connect and get up and running. 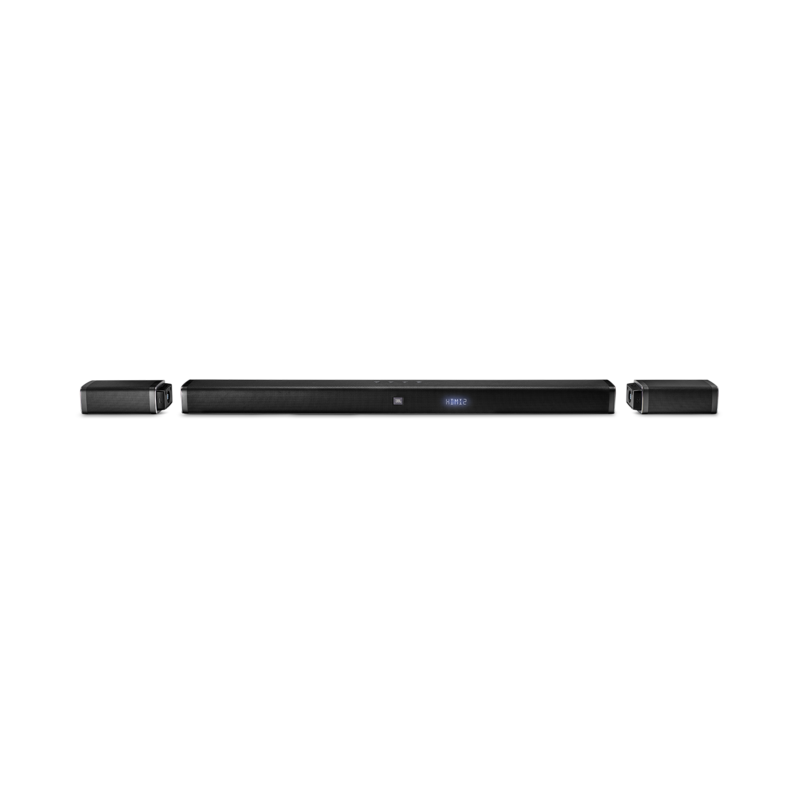 The Wireless 10" subwoofer is the best wireless soundbar subwoofer i have heard. Plenty of bass. Rear speakers and mounts are a genius and work well! I was surprised. Make sure you calibrate them with the included mic and wall mount them for best performance. Don't just set them on coffee tables or stands on each side of couch. 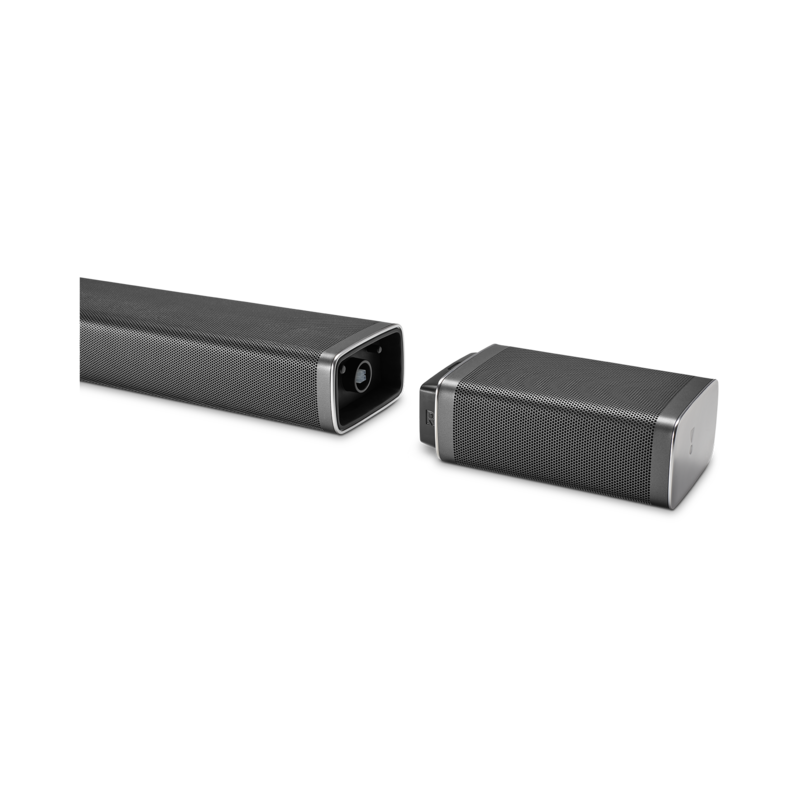 Remote is very useful with volume settings for the overall system and independent volume settings for the subwoofer and rear surround speakers. 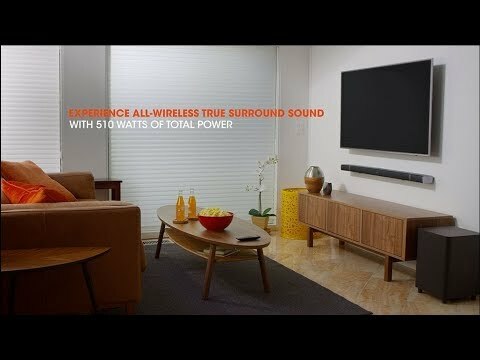 Only real weak point for the JBL 5.1 is during 2 channel or stereo music like thru bluetooth. Not as good as others i have owned but for movies or TV content thru good sources it's a awesome set up! 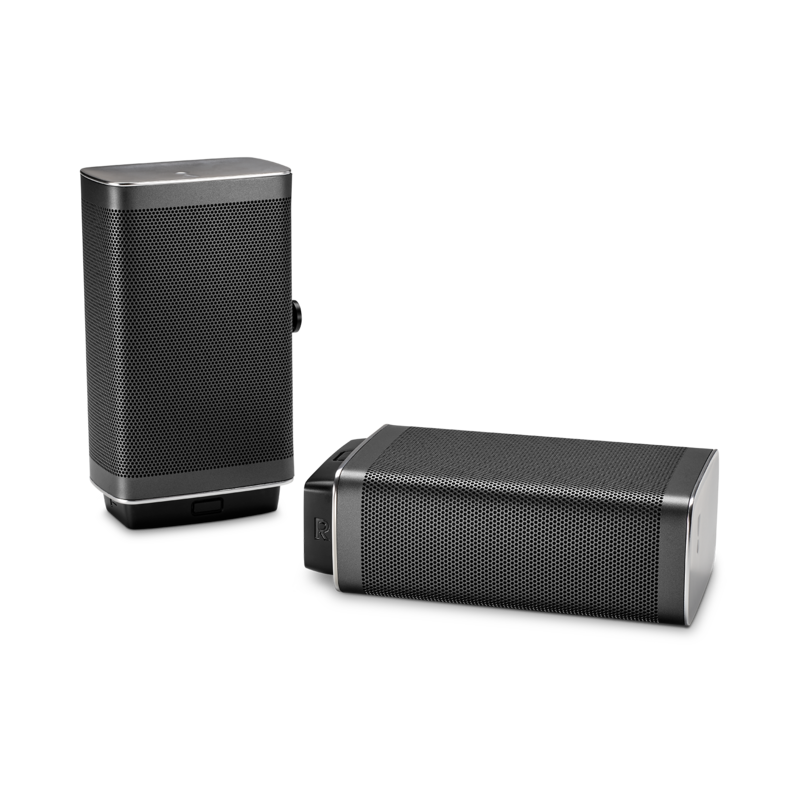 Rated 5 out of 5 by UA_Coach19 from Thundering BASS I bought this product last week and I have turned on the Dallas Cowboys game and you could hear everything so crisp. With my previous system I couldn't hear the intricate little background sounds like I can with this system. The bass is extremely loud and it makes my entire house shake. I love bass so this system suits me perfectly. Music is clear and it is easy to control the system through the remote. I would highly recommend this if you are an avid movie watcher or love playing your music loud. The sub is probably a good 40 pounds so that right there shows the quality of the product. Rated 5 out of 5 by JimE from Simply amazing! I bought the JBL 5.1 after weeks of searching for the best buy. I was also unwavering on a 10 inch sub. That led me to JBL 3.1. 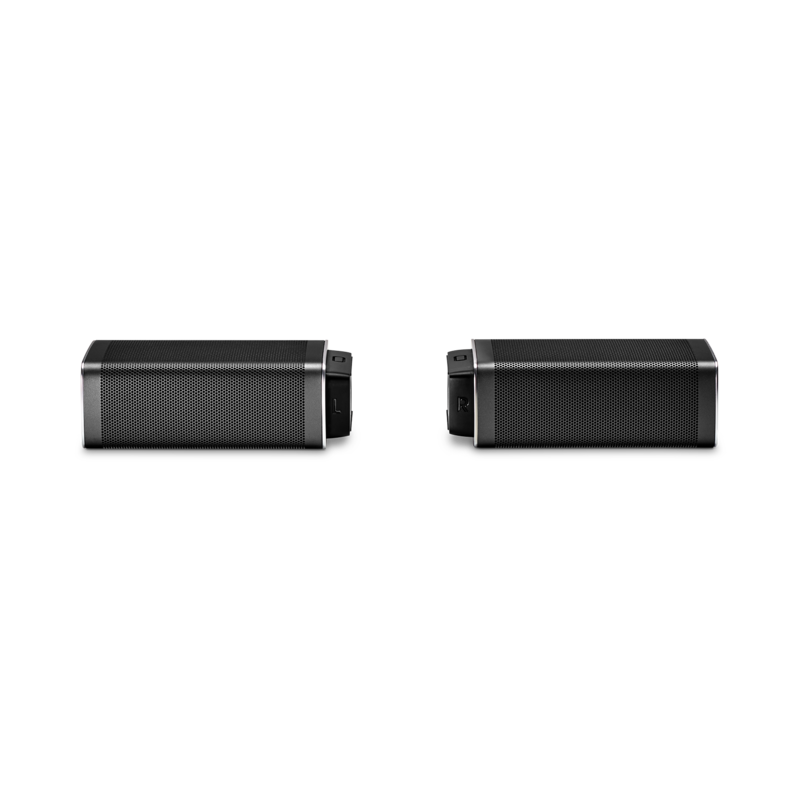 After looking at the 3.1 I also looked at the 5.1 and loved the idea of the removable, wireless speaks for real theater sound. I could not be any happier! The sound clarity, bass and mids are exceptional! Could not be happier! If you are thinking about the 5.1 just do it, you wont be disappointed! 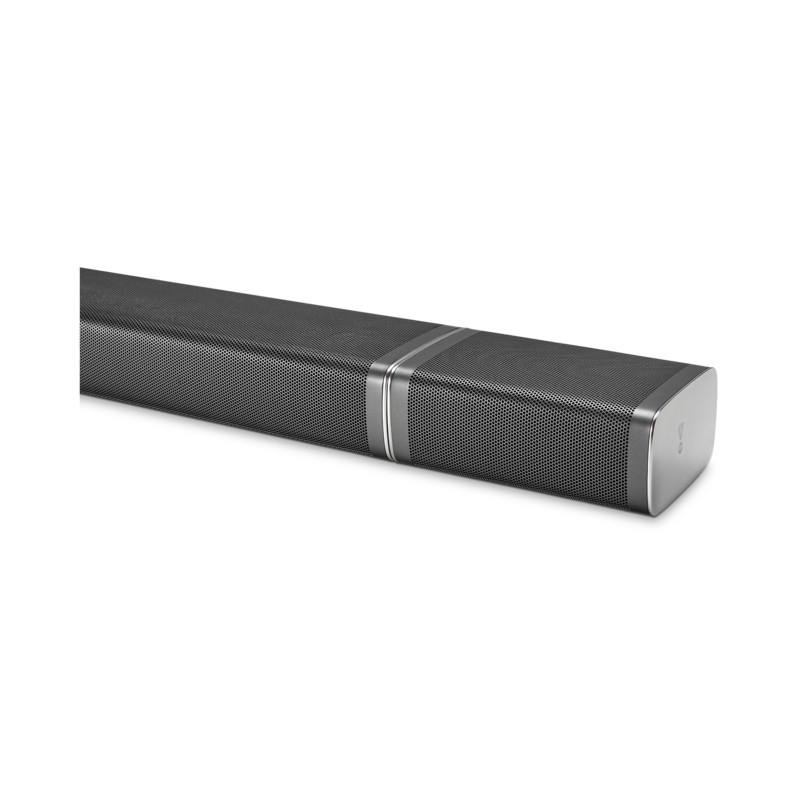 Rated 4 out of 5 by B Diesel from 5.1 JBL sound bar. Good sound system for overall Bought this a couple weeks ago. Got rid of my old Bose acusticmass 5.1 home theater system especially the big long ugly bass module. Wanted to Minimize and simplify my movie room. Finally had the time to test it out the sound bar. Music sound clean and clear with plenty of bass. 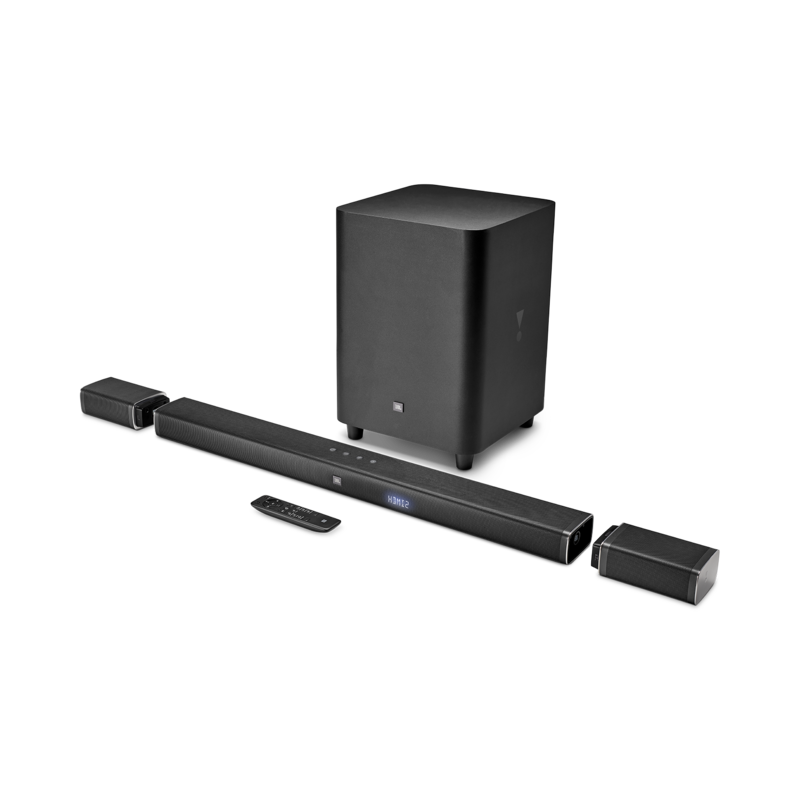 For movies experience it is better than most sound bar system I have heard from. The wireless rear speakers are cool concept however it does not seem to put out accurate sound effects but love the magnet mount option. Perhaps I did not adjust it properly. Bluetooth is easy to connect. Remote control is self explanatory. But overall it’s an excellent system and well design. Rated 5 out of 5 by turner2017 from Amazing My husband wanted a Bose system, but I did some reviews and got him this for Christmas. It is so crystal clear. The subwoofer fools me sometimes. I think something is outside the house but its just the low tones coming thru that sound like real life. My husband is very pleased with it as well.